Brian and Tim Teed attend the 3rd annual SoftWash Systems “Softwashapalooza” in Orlando, Florida. 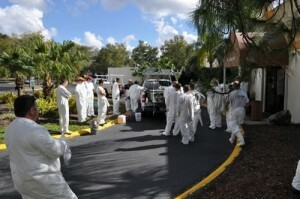 We reviewed new cleaning techniques and dontated our services cleaning roofs and siding at Boys Town in Oviedo, FL. There were over 100 attendees from across the country. This entry was posted in Uncategorized on July 8, 2014 by Vesta.